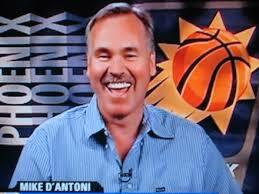 Mike D’Antonini to the Knicks – If you’ve been reading this space, then you know how I feel about this one. Cheesy mustache aside, you’ve got to be impressed by his record in Phoenix. The regular season. Never has figured out that defense wins come crunch time. Worth mentioning too that his teams were stocked in Phoenix. Welcome to New York, Mr. D’Antonini. I think you’ll find the cupboard is a bit more bare in the big apple. Good luck with Marbury, Curry and the rest of the Knicks group of professional losers. Figure D’Antonini won’t last through the end of his contract & I don’t even know how long that is! Knicks coaches never do and he’s NOT the the right fit for this job. Rick Carlisle to the Mavericks – Was pretty impressed with Carlisle in Detroit and thought he was done wrong when they dumped him for NBA vagabond Larry Brown. Less impressed with his tenure in Indiana on the whole. I’m no longer sure this guy is a really good coach. Guess Mavericks gig will seal the verdict on him. I’m guessing he’ll be found guilty of not being a great one. Think this is another bad coaching hire. As the merry go round continues to spin, guess the question now is who’ll get the Chicago & Phoenix gigs. Whoever they are, they got to be better matches than the Knicks and Mavericks have found.